Repainting my 69 Amx dash. 936F is the trim code. Where do I find a paint chip so I can give it to the guy repairing my dash? There are paint chip charts online. 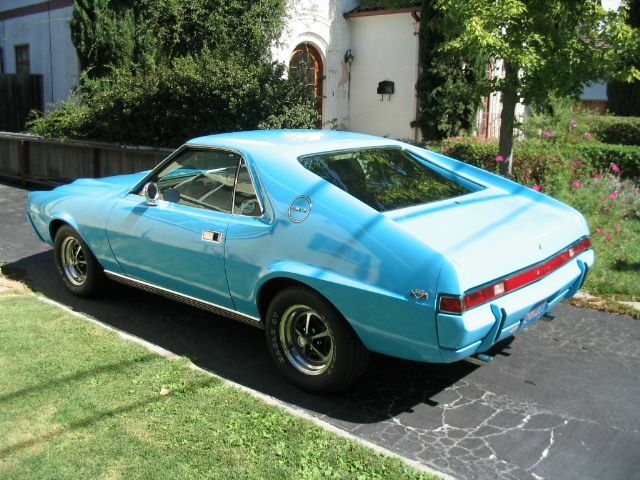 Ebay always has a seller selling AMC AMX paint chip charts for interior and exterior. The most powerful tool is the question. 936 F denotes Saddle interior in Ventilair vinyl. 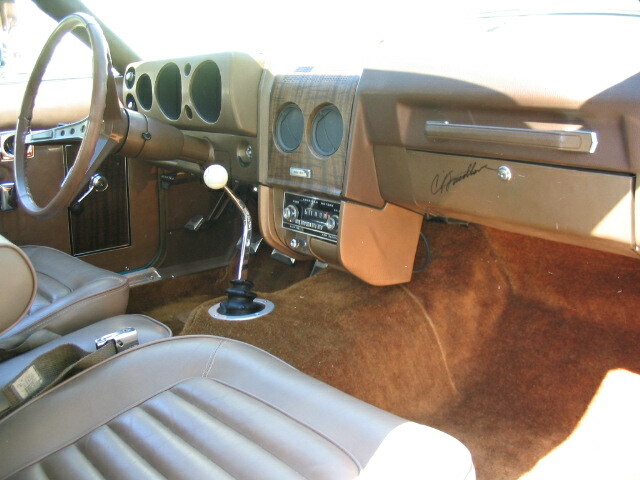 Interior color paint code is 69-R-6 Brown Metallic. AMark sells exact match interior paints in spray cans. This color is used on the dash, steering column, console, hard plastic interior trim, A pillar trim, inside door opening overhead padded trim, rear quarter window and backlight trim pieces and the armrests. Some interior pieces were molded in color but most were painted. Sounds like everything is same color. 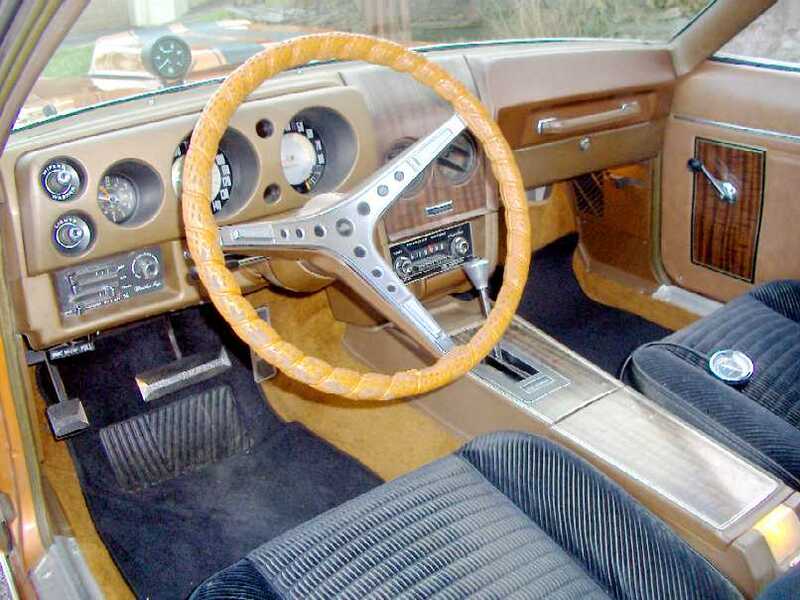 David, be careful, as there are at least (7) different "tan" colors on your dash, gauge overlay, crash pad, radio bucket, steering column, etc. Nothing looks worse than all of these areas resprayed in the same color. Nothing in this picture of my 69 Saddle Tan interior has been resprayed. Pat is correct that there's quite a bit of variation in the color shades between the painted parts and the molded in color parts like the passenger side crash pad and the kick panels. Before you repaint you should make sure that the pieces you're painting were painted originally. For example, most of the door armrests were molded in color but some were painted. In Pat's picture the interior shot appears to be from an earlier build 69 as it does not have the hooded overlay over the instrument cluster. It also appears to me that the radio housing is the earlier style that was a combination of a hard plastic base with an applied molded soft overlay on the sides. Sometime in 1969 production the radio housing was changed to more of a one piece design where the side panels were hard plastic with molded in grain. All these one piece radio housings were molded in black plastic and painted dash color. thanks for all the information. How would I go about finding g out what the original colors of the different dash pieces? My interior is so faded it is very hard to tell what the exact color was. Any help will be appreciated. The main dash structure, glovebox, and instrument bezel was painted tan. These will match in color. I've never seen OE painted armrests. Flip a plastic part over to see if it was painted. This assumes it was OE. The kick panels were moulded in color as were the door panels and armrests. These will match in color reasonably well. A bit of a bleached out digital picture, but this was my Nov 1968 build 1969 AMX Saddle Interior. Mandarin Orange from JC Whitney, and obviously 1972? black corduroy seats.